North Korea has yet to learn its lesson. Given the fact that the entire world has informed Kim Jong un that he, his totalitarian regime, and his military will come to an untimely demise should they continue to push missile buttons, the dictator seems to have no problems testing boundaries. The boundaries that he just tested include sending a second intercontinental ballistic missile (ICBM) over Japan, where it landed in the sea off of Hokkaido. Once again, world leaders will be gathering around soon to determine their next steps in dealing with this country. North Korea has fired a ballistic missile across Japan, its second such provocative move in weeks. 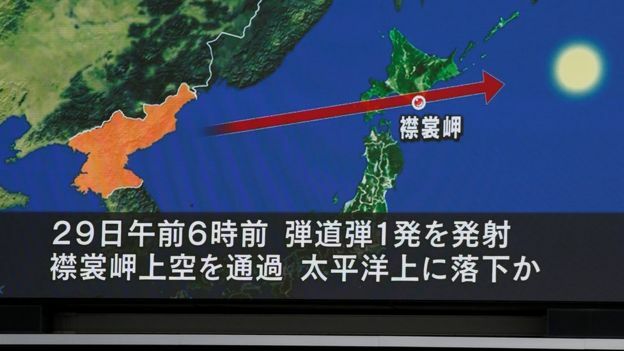 South Korea’s military says the missile reached an estimated altitude of about 770km (478 miles) and travelled 3,700km before landing in the sea off Hokkaido. Japan’s PM Shinzo Abe said Japan would “never tolerate” North Korea’s dangerous actions. US Secretary of State Rex Tillerson also condemned the launch, but put the burden of response on China and Russia, nuclear-armed North Korea’s main economic partners. “China supplies North Korea with most of its oil. Russia is the largest employer of North Korean forced labour,” he said. 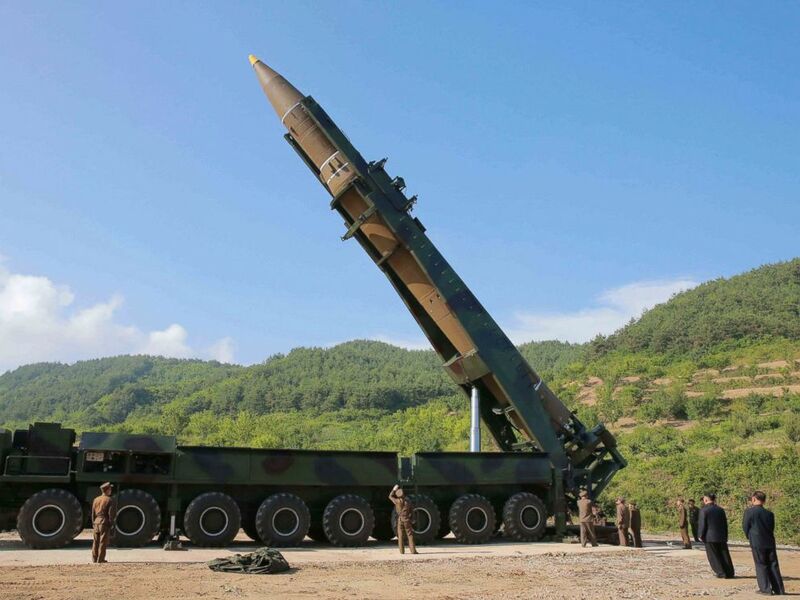 The South Korean military said the latest launch took place from Sunan, the district where Pyongyang’s international airport is located, just before 07:00 local time (22:00 GMT on Thursday). According to the initial estimates, it flew considerably higher and further than the missile fired on 29 August. Japan had called that launch an “unprecedented” threat, while Pyongyang warned it was only “the first step” in its military operations in the Pacific. The US Pacific territory of Guam, which North Korea claims to have plans to fire missiles towards, is 3,400km from Pyongyang, so would be within range of the latest missile. As with the last launch, the rocket flew over Japan’s northern Hokkaido island before splashing down in the Pacific Ocean. People were warned to take cover as raid sirens sounded. What Kim Jong un and his military are doing is simple: they are directly threatening the United States of America, alongside any countries that support western culture, freedom, and capitalism. Hopefully President Trump and his allies of Japan, South Korea, and others will gather together to create a plan that will effectively stifle North Korea soon. Otherwise, our allies and our own precious Guam could lose innocent lives. This needs to stop now. What do you think? How should President Trump stop North Korea from sending more threats and missiles? Comment below!